This call to awakening prayer was issued by David Thomas, a pastor, scholar and man of prayer, on September 18, 2015, on the occasion of the second annual New Room Conference in Franklin, Tennessee. For those present, it is destined to be remembered as a defining moment, a turning point, perhaps even of historic significance. Only time will tell the story. 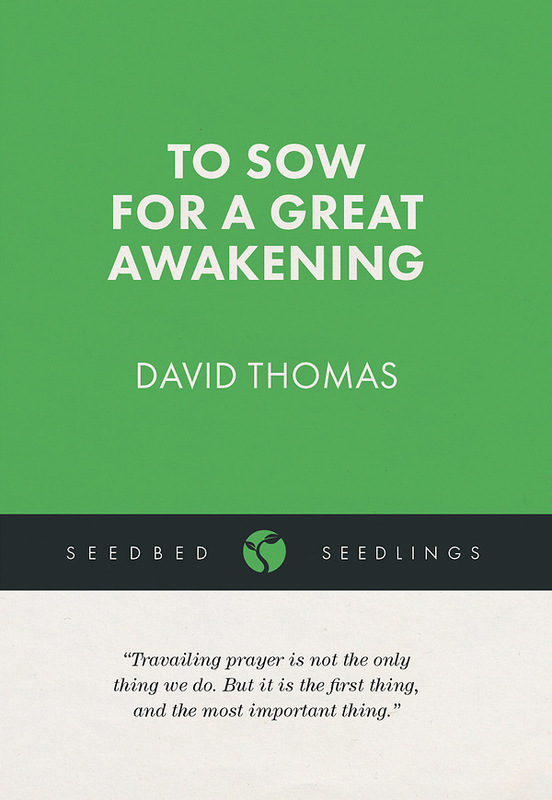 With this 48-page Seedbed Seedling booklet, it is our joy to share it with you in the same spirit with which it was first given, as an offering unto Jesus Christ, our Lord, for the sake of the world he loves and the Church he is building.